It’s a pleasure and a joy to have you visit us. As you explore our site, you'll find everything from sermons of DOD's services to great articles on the Christian faith to upcoming events at the church to spiritual resources to help you with everyday living. Most of all, you'll find that it is our mission at DOD Intl. to know God and make Him known. Pastor Tina is the first lady of DOD Intl. and wife of Pastor Pre Ovia. 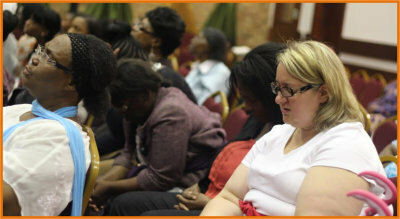 She is the founder of Daughters of Destiny (DOD Intl) - a mentoring network for virtuous Christian Women. Pastor Tina is a prayer warrior, visionary leader, dynamic speaker, TV host, healing minister and intercessor. Prayerfully, this Web site will empower you to do the same.